Zilukha is the “biggest nunnery” in Bhutan, yet I would never consider it huge by any standards. But it may have the best location. 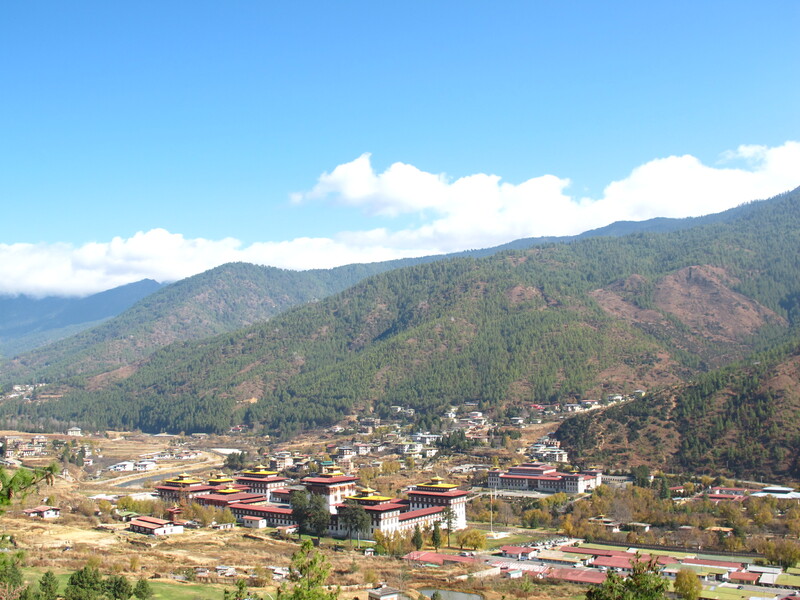 It is perched on a promontory overlooking the Tashichhoedzong or Thimpu Dzong and its surrounding golf course. From the roadside, we walked up a wide dirt path to reach this nunnery with no gates, no doorbells, no guards. Just sleeping dogs. The Path to Female Monkhood? Female Monks? Yes, many women — some young girls, even toddlers — from poor families enter the nunnery. 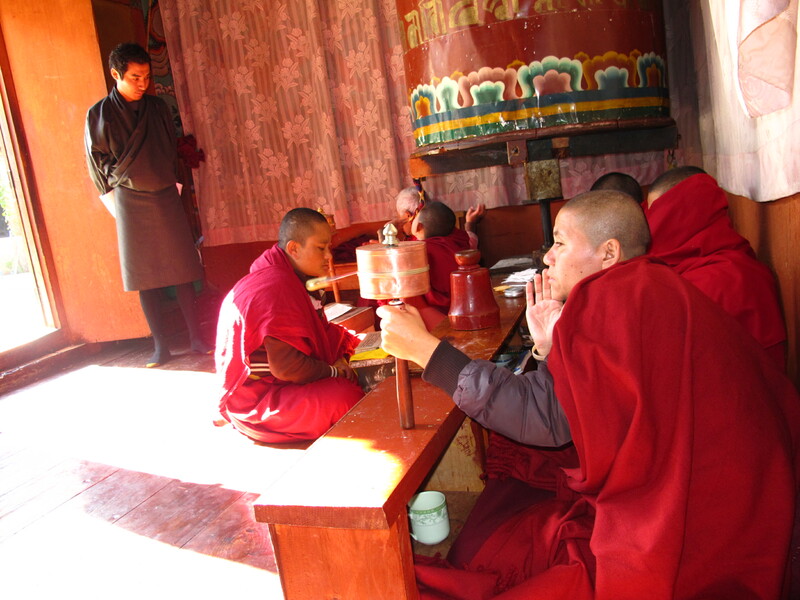 The ones I saw at Zilukha Nunnery in the Drubthob Goemba were likely as old as 70 and as young as 4. I was honestly surprised to find the young ones, and initially thought they were orphans under the care of the nuns. Our tour guide explained that some of these children were left behind by their poor parents. A refuge from extreme poverty. Yet I wasn’t exactly sure it is a refuge. The nuns we found here can certainly do with some comforts. 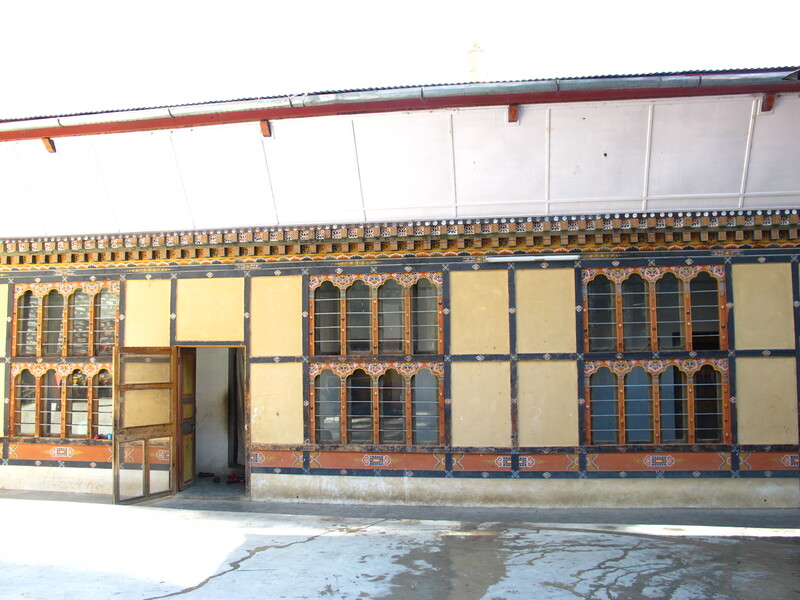 Having seen the magnificence of the Dzongs in Paro, Thimpu and Punakha, the Zilukha Nunnery appears almost like a disheveled garage or storage room in one of these dzongs. 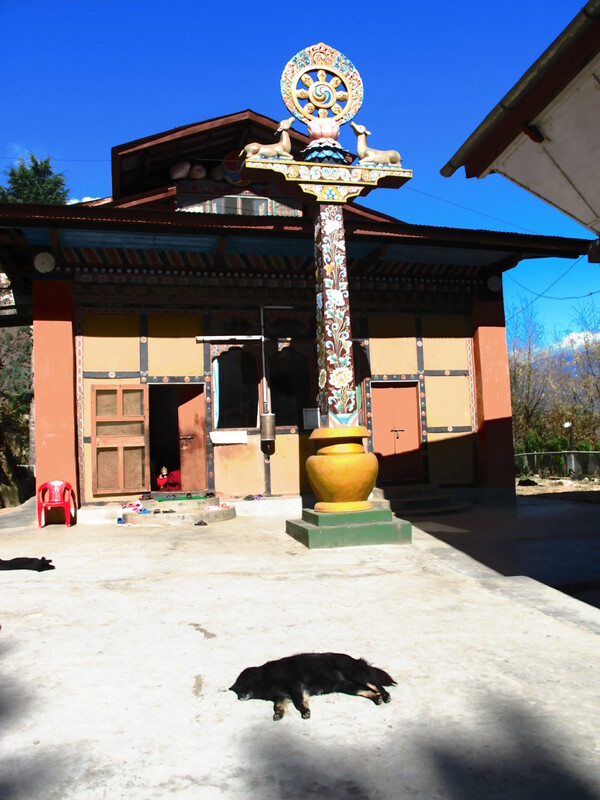 The shrine is very small, and the nuns pray and chant their mantra in a narrow space where a giant prayer wheel occupies easily a tenth of the entire room. The nearby one-storey building serves as their sleeping quarters and I can imagine these nuns must sleep in cramped quarters there. Once we stepped inside the Prayer Room, we felt almost guilty barging in as the nuns were busy praying and chanting. 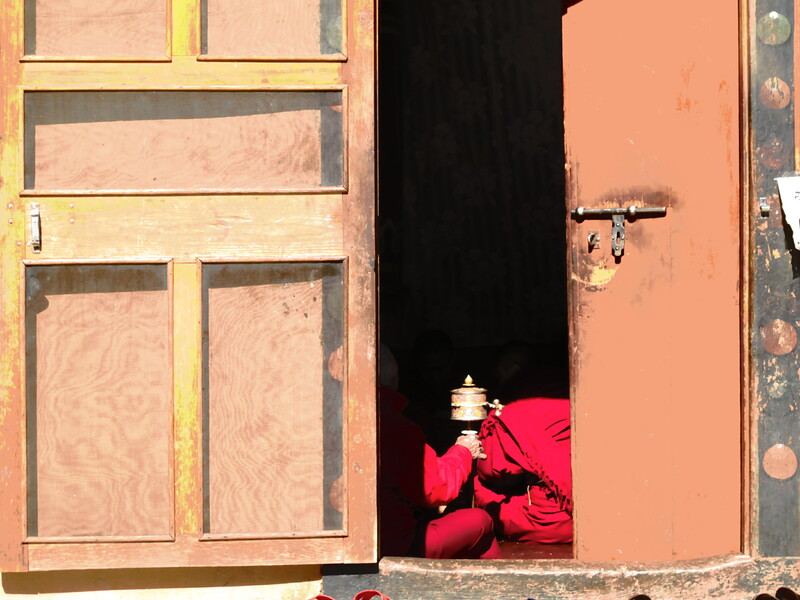 The elder of the nuns allowed 2 photos of them doing their spiritual chores — chanting mantras and spinning prayer wheels. The area is a bit cramped. Two lines of nuns face each other while a giant prayer wheel is spun by one of the younger, stronger nuns. The 4 year old happily , yet quietly sat on the lap of the grey-haired nun. This nun with greying hair, looking so undecided between chanting and chewing her betel nut, while caring for the toddler-nun. I spotted red-stained teeth, and some chewed bits threatening to drip on the sides of the older nun’s mouth. Just Two Photos Inside the Prayer Room. Two Lines of Nuns Facing Each Other in This Narrow Corridor. I wish I was able to take a better shot of the grey-haired nun and the toddler nun. I dared not appeal for a 3rd shot, guilty as we were to have arrived at a sacred hour. As young girls enter the nunnery to escape poverty as well as to gain education, I wonder if some of them feel “forced” to take this option. Sure, they are here to seek “enlightenment” but I am more inclined to think they are here or were sent here to escape from the harshness of a difficult, deprived life. This Is The View From Zilukha Nunnery. Not Bad! 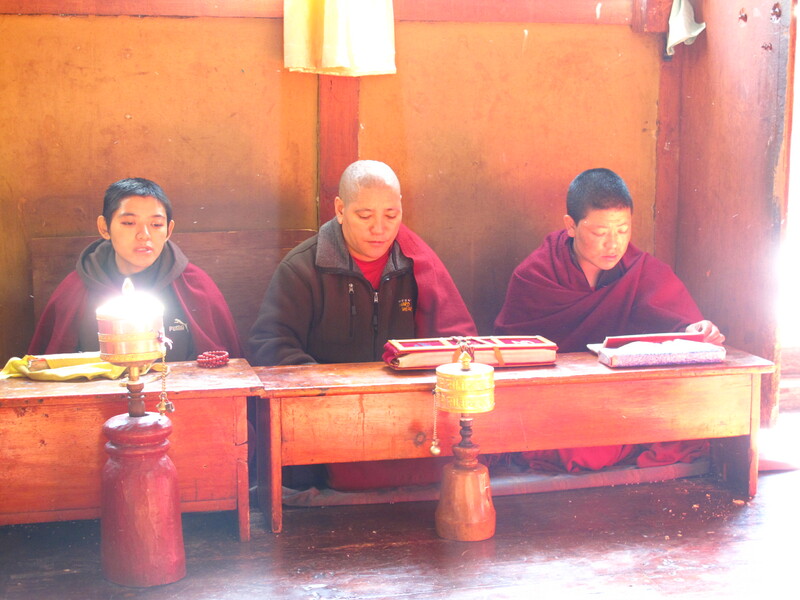 As with the monks, people seek spiritual guidance from these nuns. As such, they spend their time gaining spiritual knowledge to prepare them for this religious work. Some of them may have felt deprived in their early life, but they all look forward and appreciate the newfound social status to be gained from being a nun. 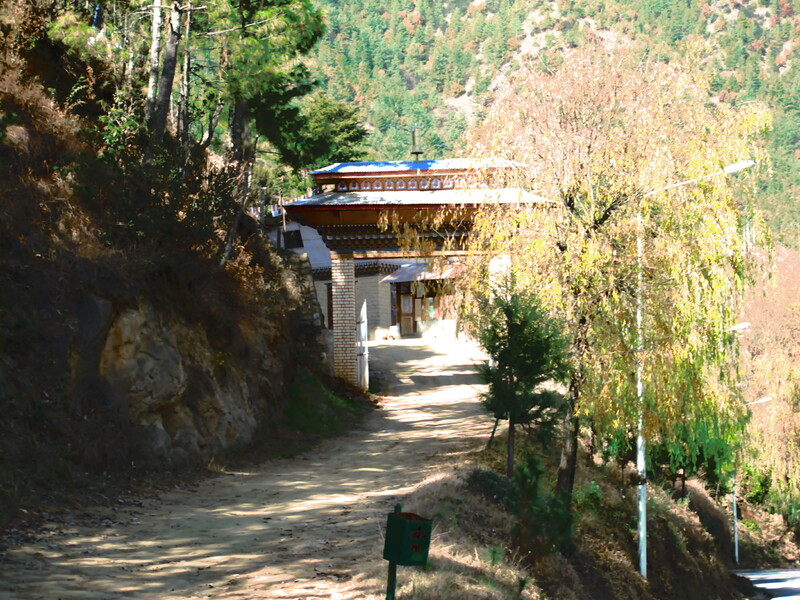 In a country like Bhutan where Buddhism seamlessly blend with everyday life and the national character, monkhood has its place.